"The Duchess is being briefed on how the State works, getting to know our national institutions better and learning more about organisations such as the arts, the media and the government. It is a process that will carry on for several months and will be done privately. 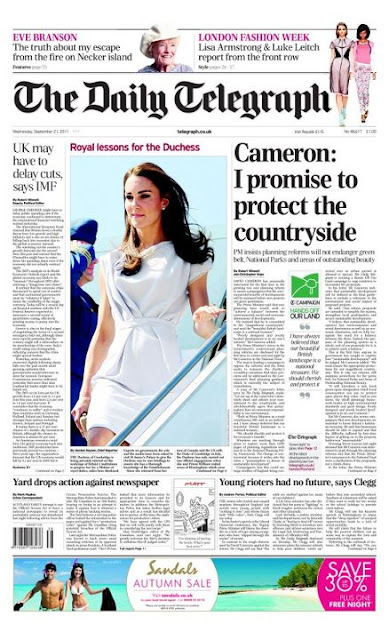 The Duchess is also carrying out private research on her own". It is clear, serious thought has gone into preparing Kate for royal life. This is most likely due to Diana's experiences. 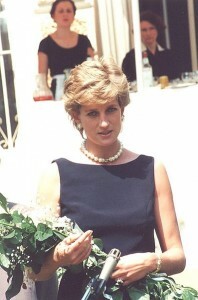 The Princess of Wales told friends that staff "basically thought I could adapt to being a Princess overnight". William is fiercely determined Kate will never feel isolated in the manner his mother did. "I think she is the new queen of fashion. She's young she's every little girls dream and she always looks chic and sophisticated". Despite rumours of a rift, Issa's Daniella Helayel seems very supportive of Kate. "I think she is great. I'm very fortunate she likes to wear Issa." After last nights superb show, The Duchess will be happy to hear what Alice Temperly had to say. "I think she's brilliant. She's brilliant for England. Perfect, perfect future Queen. She's elegant, she knows how to hold herself. She's gracious she's got impeccable manners and I hope she'll become England's Grace Kelly." The Roskanda Ilinic Spring Summer 2012 show took place today. Duchess Kate wore a stunning blue/grey dress by the designer when she arrived in California. Personally the dress was one of my favourite's. It combined femininity, class and structure all in one. Today structured dresses continued to be a major part of their coming collection. I could very easily see Kate in either of these. Full sleeves and feminine silhouettes are a staple of the collection. All beautiful pieces. That little girl Kate is poking is the cutest thing ever! I think she really needs a tutor but I know she will be a great member of the royal family. She is really beautiful and tutoring is really popular nowadays so it is no big deal. Even my kids go to high school bio/high school biology tutoring services for their school. I am sure she will learn everything easily about the government, organizations and a lot more.